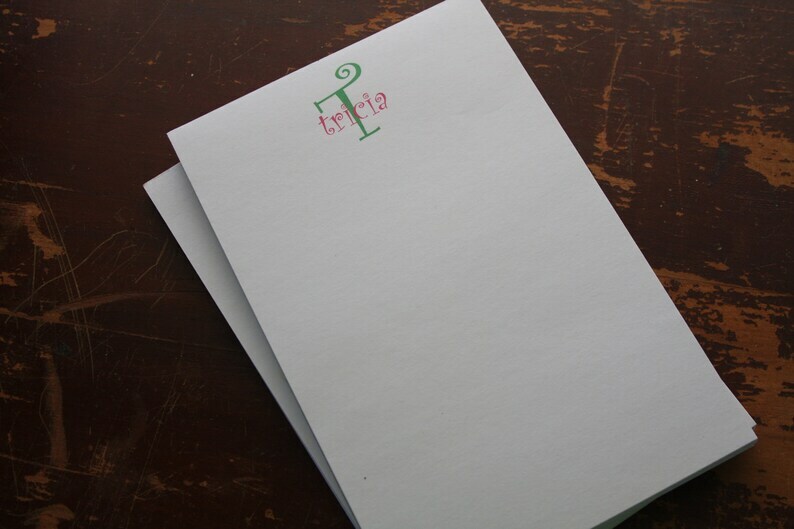 Adorable, personalized notepads make a wonderful gift for someone special! Any color combination you'd like...the possibilities are endless. Each notepad is white, 75 pages, and measures 8 1/2 x 5 1/2 inches. Each 2-notepad set arrives in a cellophane bag with a colorful bow ready for gift giving.Order font by the name shown (font Sierra, colors blue and green.) If you'd like a different font, just let me know. Custom orders are welcome!